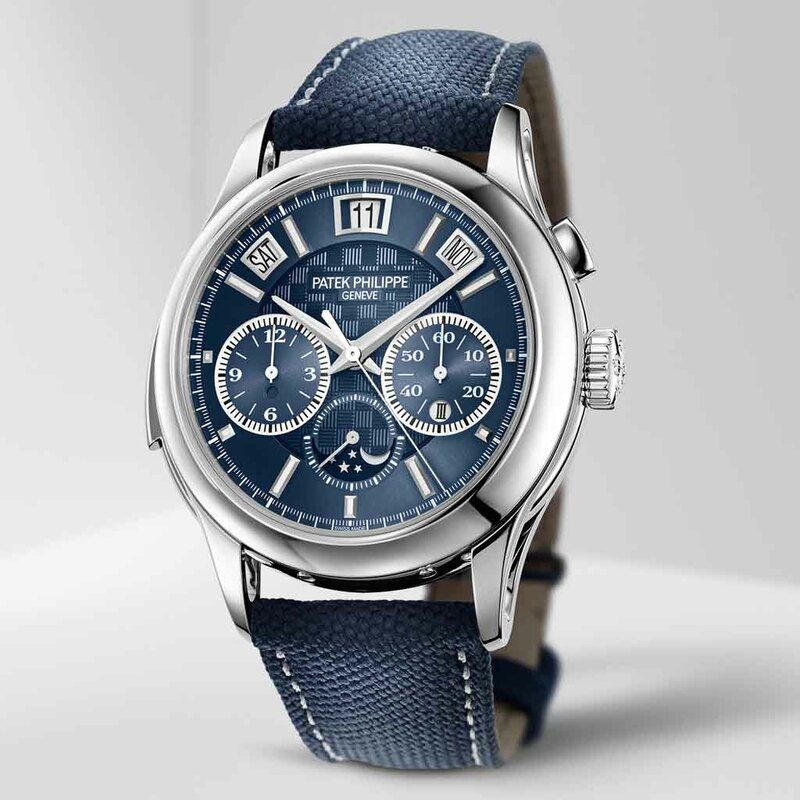 The watch Patek offered for the biennial Only Watch in 2015 was a record breaking piece. 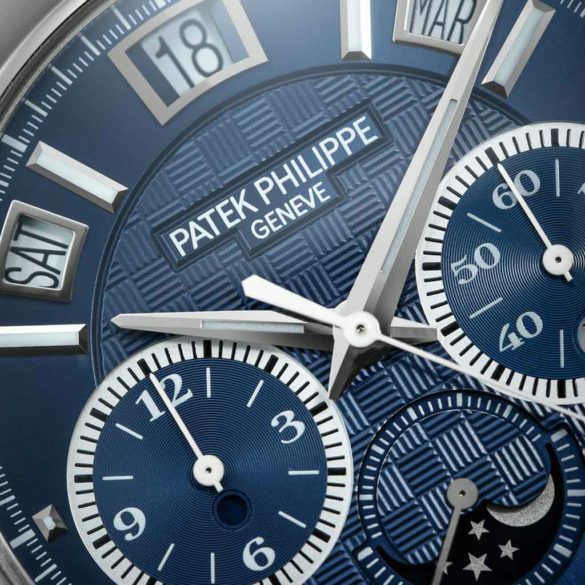 The one-off Patek Philippe ref. 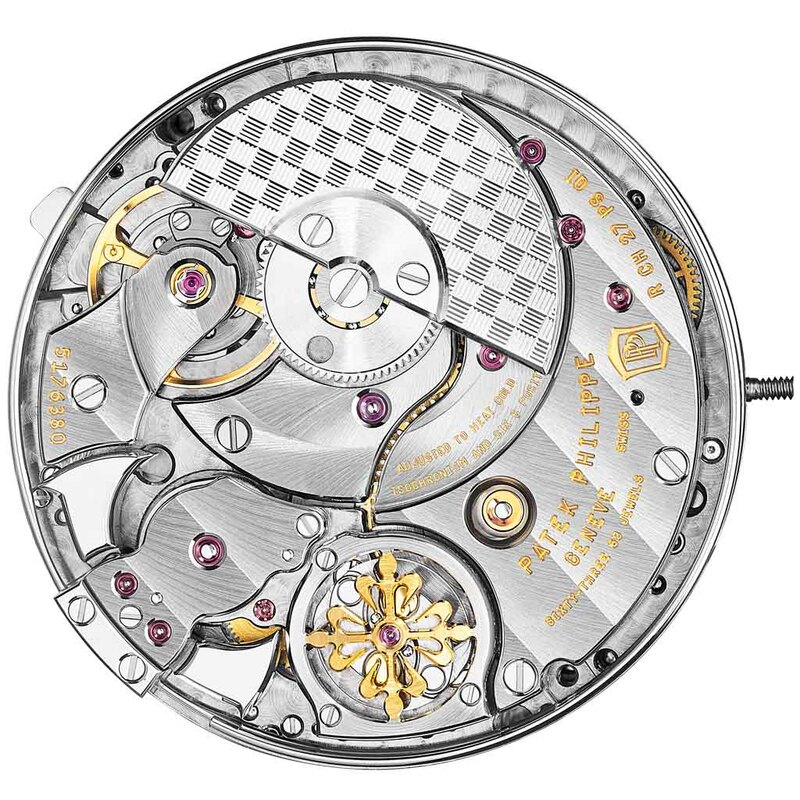 5016A-010 Minute Repeater Tourbillon Perpetual Calendar in stainless steel was auctioned at 7.3 million Swiss francs. At today’s exchange rate that is 7.5 million dollars, almost 6,4 million euros and almost 5.8 British pounds. 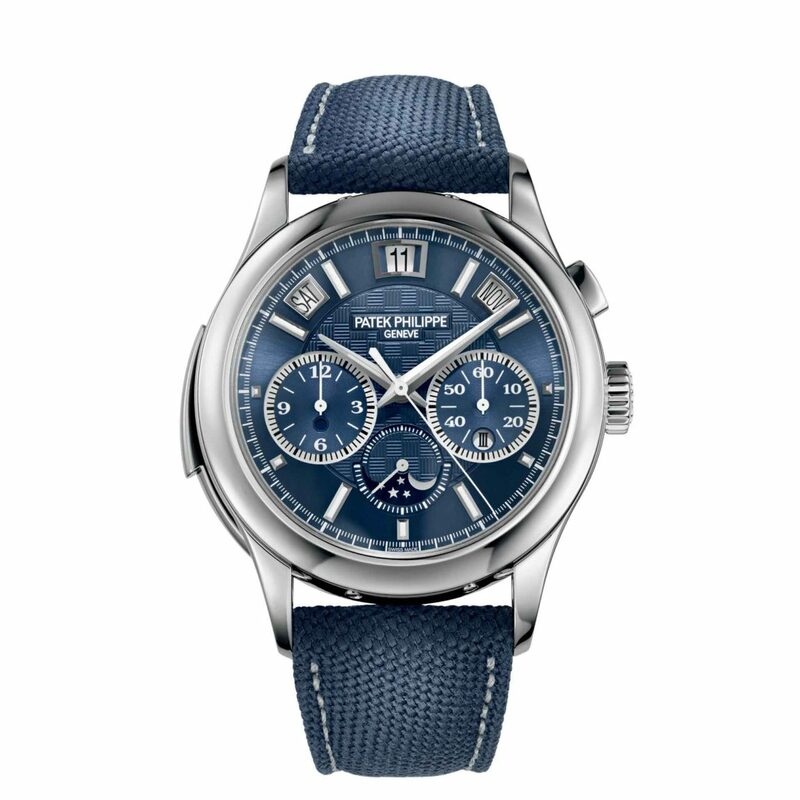 Patek’s 2017 contribution is the Patek Philippe Ref. 5208T-010, a minute repeater with monopusher chronograph, perpetual calendar and moon phase. It is the most expensive lot of Only Watch 2017. The unique Ref. 5208T-010 is made from titanium (T), the first and only ever produced for this model. Besides that, Patek rarely uses titanium. It has a blue dial with hand-guilloché carbon pattern and comes with a blue Cordura strap. Patek’s caliber R CH 27 PS QI is visible through a sapphire crystal display back. The entire movement is black rhodium-plated and the platinum micro-rotor has hand-guilloché finish with the same decoration as the dial. The chime with two gongs is activated by a slide piece in the case. Estimations are that it will be auctioned for at least 900’000 Swiss francs. Which is about 822.000 euros, 932,000 dollars and about 710,000 British pounds.